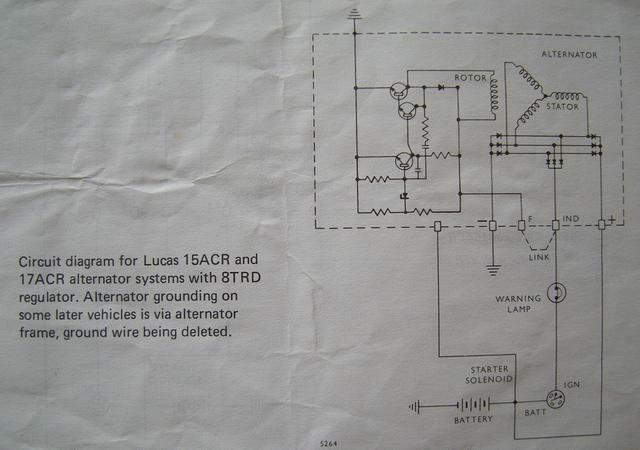 Hi everyone, this is intended to be a simple guide on how to strip and rebuild a Lucas ACR 15,16,17,18 Series Alternator. Cost of replacing one may be prohibitive to some folk now money is getting tight. This is mainly intended for the novice but it is here for all to enjoy. Ok, Now its stripdown time. Don't be tempted to lever the pulley off, Use a propper puller ! like one of these . After you have managed to remove the pulley, withdraw the fan . 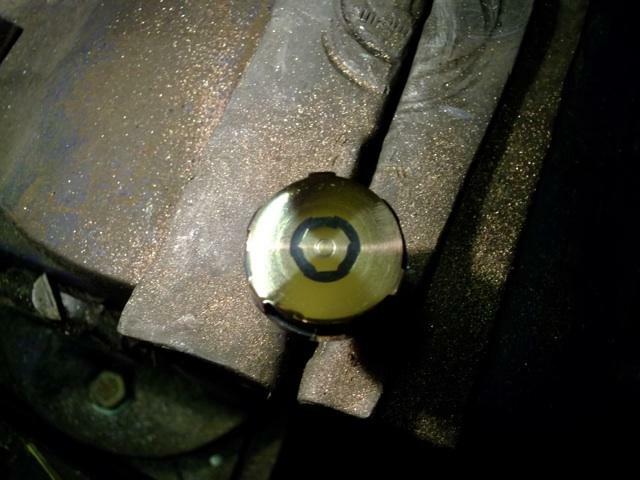 There will be a woodruff key in the middle of the shaft , carefully withdraw and keep for later. Carry on stripping until you have separated the front and back casing . The front casing will probably still have the rotor and shaft assembly pull out with it, this is ok. To remove the rotor shaft use a hub puller as above. DO NOT be tempted to belt the living daylights out of it as the front casing will more than likely break. Once you have separated the rotor from the front casing you can now remove the front bearing from the case. There are two wires at the base of the rotor shaft that attach to the slip ring. Carefully mark which wire connects to the outer ring and unsolder both wires. Remove the bearing using tyre levers or similar being careful as not to damage the rotor wires. Remove all bolts at the base of the alt. and unwire the regulator and rectifier. The rectifier has 3 wires (1 for each phase) soldered to it from the stator or 'windings' Do not be tempted to cut these wires as they are JUST long enough to reach the rectifier. mark down their original positions,unsolder and remove rectifier . The windings should come away from the rear case . If not, LIGHTLY tap the outer case with a rubber mallet to free off. Check the windings by connecting your meter up again . Set to X1 or Ohms again, Positive probe to any of the 3 wires and negative to a clean contact point on the metal ring. the meter should read '1' or infinity NOT '001' ect. PLEASE NOTE : Windings are enameled wire and are thus shielded . To obtain a correct reading test probes should be on soldered areas of the wire only, Sorry about the misleading pic but I was doing this one handed with a camera ! Check each wire in turn as above the reading should be the same for each wire. Second check , Connect probes to one wire and the other to one of the other two. Check each wire in this fashion . The readings should be 3-4 ohms (003-004 on meter) . Once we have established that the core components such as the stator and the rotor are good then we can proceed to clean everything up. I chose to Nickel plate some items obviously you don't have to! Another check to make is the regulator. First picture shows how to wire up the two wire regulator to 12v charger , measure output with your meter first aim above 13.3v as the transistors switch 'on' at about this voltage (+/- 0.3v due to transistor tolerances). The bulb should be lit. if it is out then assume it is faulty and disguard. second regulator check in pic 2 involves injecting over 15v into the regulator,I used a cordless drlll charger that puts out 28.5v . Anything over 15v turns 'off' the transistors inside, cutting the charging off until voltage drops below minimum. If you exceed 15v and your light stays on then your unit is faulty and should be replaced . Ok, I already had NOS parts I had gathered up from here and there so I will keep the good regulator as a spare. Rebuild time. I opted to use decent NSK English made bearings. It is important to use the correct GRADE of bearing. These alternators need 6202-ZZ-C3 bearings. 6202 is the size , ZZ is metal sheilded and C3 is the load and speed capability. There are cheap Korean bearings out there but I would not recommend using them. The Korean bearings seem to be in the rebuild kits that are out there so be warned. Using a tube or a long reach socket that is EXACTLY the same size as the inner ring of the bearing, carefully tap squarely onto the rotor shaft. Tap down as far as possible re-locking the plastic ring to the core .Do not use anything that seats on the metal shield or the outer bearing or this may damage it. Reinstall the stator (windings) into the backplate. Push rotor shaft into the backplate . The bearing should self seat just snug . Placed carefully in a vice you can fit the new rectifier taking care to refit wires in the same place. TIP- before fitting the rectifier , clean the three diode spikes with emery cloth and make sure the loops on the wires have old solder removed. The reason is that when you resolder the wires you want to use the least amount of time touching the spikes with a hot soldering iron as the heat can destroy the diodes if they overheat. Cleaning beforehand enables quicker soldering. Blow on area as soon as you have soldered to cool down. Reassemble other component parts the same way you took them off. Making sure that if you have painted the body to clean off paint around mounting areas like near the rectifier and regulator mounts to enable a good contact. Finally , I recycled the original slip ring, I noticed there was enough 'meat' on the copper rings , so I decided to file and polish and save for future!. lost for words in admiration love the clear explanation and lots of photos..
Well you just p[ipped me to the post on that one-well done gpo-not that you need to hear me say that about your work I know-but very well done. Crikey - what a fascinating guide! Location: Le Tronquay, nr Bayeux, en France - Pop in for a cuppa! I see that this alternator has two B+ terminals and one D+ which goes to the warning light, can i ask as you have got some knowledge where the two B+ go to and also my one is diffrent to this alternator my one has a extra + terminal, any idea where this connects? minormadman:81054 wrote: Well you just p[ipped me to the post on that one-well done gpo-not that you need to hear me say that about your work I know-but very well done. Ok , So I rebuilt an alternator.. The only way to see if is any good is to put it on the car .This first picture shows the voltage of the battery without the engine running. This is the alternator running on the car. And finally .. The output voltage . No matter how much I rev ( I limited myself to 3000rpm) the voltage does not exceed 14.5 volts. Hmm couldn't really say without seeing it. sounds like it could be off a Lucas ACR 20 something series ..possibly ACR21? I have draw up a diagram of the rectifier testing circuit.